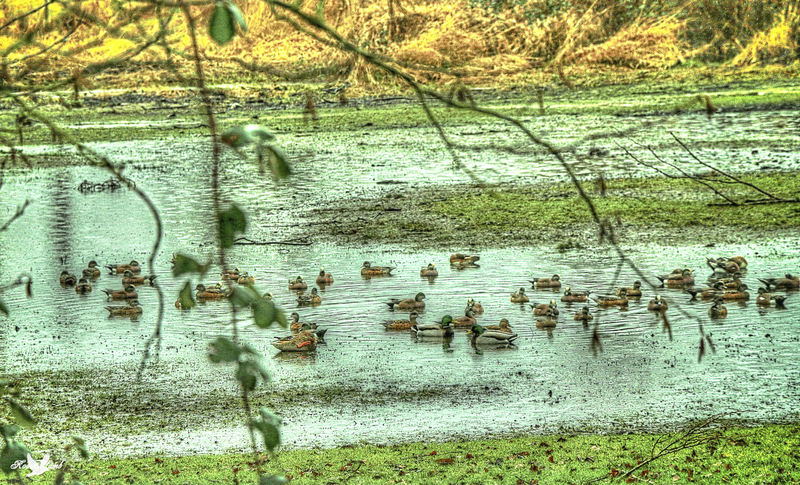 Here’s a mixed group of Mallards and Wigeon on a rainy day, taking advantage of a large puddle on a farmer’s field. I guess that’s why they are called Puddle Ducks! This entry was posted on 2015/02/13 by Robin. It was filed under Birds and was tagged with B.C., Langley, Puddle, Wigeon. Love the many shades of green in this photo. Karen, it’s nice, isn’t it! Ha ha, they couldn’t believe it, another puddle. Bob, Yeah! There’s certainly no shortage of them! You must have had a lot of rain! Pat, yes, our winter is pretty well constant rain!